There many types of Electronic Document Manager systems are available to help you manage and keep track of your documents. With software that keep track of your records hard copies and other forms media you need to have the ability to manage and have instant access to these files, folders, etc.. Document archiving software is particularly for older files that are no longer used by the company but nevertheless must still be kept for documentation purposes. Management of your data becomes an easier task. The document management software should have the capability taking your data entry, PDF conversions, forms processing, image document and give you access for quick retrieval. 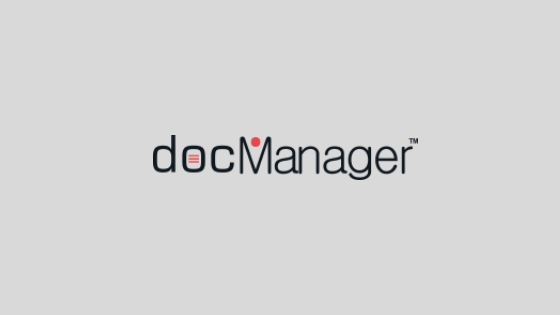 Good Electronic Document Manager software would let do distributions of mass document management and mass storage. Documents are scanned into the system and users are able to save, search and retrieve documents in electronic format, removing the need for paper based filing and storage. Documents can be added to the system either by scanning or by importing them in any file format. Documents are stored electronically thereby making them retrievable, printable, and editable. Documents are scanned in the normal way that a typical scanner works. Stored documents, such as reports, invoices and statements, are immediately available for search and retrieval. Optical Character Recognition (OCR) and text index services provide a full-text search functionality that allows employees to retrieve documents by any word or phrase in the document. All documents can also be easily located with an extensive index search within a certain document group. These days an archive solution must also have the capacity to re-print individual and batch documents locally and over a network, and distribute documents electronically (e. It keeps account of when, where and to whom the documents and data were returned. This enables you to access your records 24 hours a day, using a standard web browser such as Microsoft Internet Explorer. Improve access to information by allowing groups of employees to share digital files more readily than they can with paper. The software allows system and user-defined index fields, and offers different levels of document and feature access, so that users not entitled to view documents are oblivious of their existence. While your office computer may be a better alternative for storing and organizing documents, you cannot access these documents at another location that is outside of your network. This allows you to access the files anywhere, as long as you have online connection. In addition to storing and organizing your files, the document management software also has access and revision control. The usual functions of the readily available document management tools cover acquirement and organization, versioning, systematic access, archiving, and updating. Archiving can be done on the local computer as well as using the remote server in the Internet. The type of electronic document management and archiving software you use could be a solution to documents control. Document archiving is the use of a storage facility that is dedicated to the management and requirement of hard copy documentation and scan on demand. A good document archiving system has some basic highlights such as it is versatile, user friendly and flexible. Document archiving is done to index text of hardcopies that have been scanned, thus making it easier to retrieve and search records that are desired. Electronic document management system also has some of these functions: archiving, indexing, digital scanning, grouping and tracking, among others. It is essential that you have the proper document management system in place with any size company. Whether you are a large company or a company just starting out, you know the importance of a well designed and thought out business plan. Within this plan you have probably countless pieces of software, numerous consultants and possibly any number of vendors supplying things for you. To have an accurate and reliable document management company in place is essential to keeping the rest of your plan running smoothly. You need to ask yourself some very critical questions about your document management system in order to meet your business goals. Where will you keep your documents and where will they be stored? Are you planning on running your business paper-free eventually? Do you plan on having hard copy backup of your documents? Where is your database for the company going to be stored? How is the database for you company going to be backed up? How often do you want the database backed up? Before even the first document is created, you need a place to keep it. Otherwise, where will you create the document to begin with? Now that you know where and how your document management system will keep your documents, the next step is to focus on the retrieval when the document is needed. Most likely you will be browsing through your company computer or perhaps getting up to the file cabinet to retrieve your document. All of these procedures take time but a document management system makes the time an organizing issue, not a hunt and peck feature. In the case of personnel documents, your document management system must have a way to keep your documents secure from tampering or save from public viewing. It can be a tricky and sometimes a legal issue if you do not have a secure place for these records. One of the most essential parts to document management is making sure that you are secure and have adequate backup to all of your documents in the case of some disaster destroying your office with all the information inside.